Ever since we started The Quick Brown Fox Video Production we’ve received a steady stream of enquiries asking us to ‘quickly’ price a job and give a ballpark figure for filming and editing. Although we have fixed rates it is best to spend a bit of time thinking about the final product in order to get things right from the start. 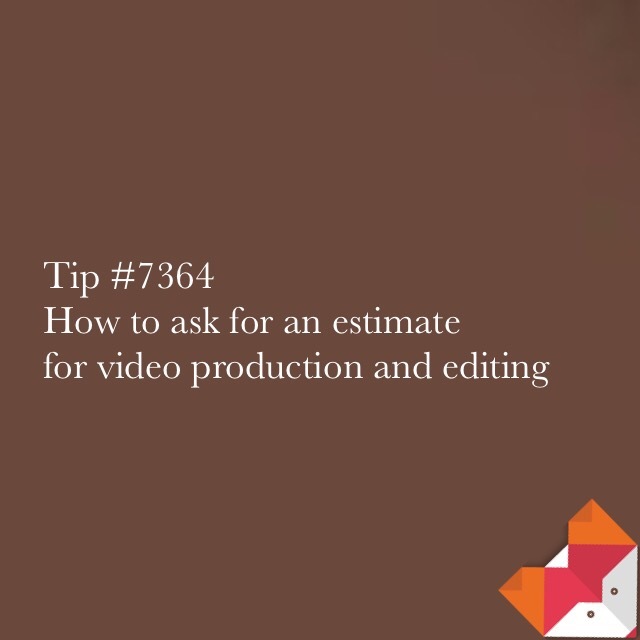 There are many factors affecting a filming or editing job, we need to consider equipment to be used on the day yes, but also man-hours during post production. … and who best to give a full brief than the client? Some of these questions may or may not be relevant to your particular project and if there’s anything you don’t know we can offer advise, but as a rule of thumb the more information you can give us about your project the quicker and more accurate we will be able to price it. 📽 Can you briefly describe your idea for a video and how long you would like it to be? 📽 Do you already have a script or storyboard or concept we can work to? 📽 Have you seen videos you like similar to what you would like to do? 📽 Do you know how many filming days you will require? 📽 What type of content are we filming? 📽 Do you have a location in mind? Is it outdoors or indoors? A prefered date? 📽 We can work with a single camera or with as many as you need, can advise you on this bit as well. 📽 We can simply film and edit but can also offer full post production (voiceovers, grading, translations, captions), think you will need anything extra? 📽 How would you like your video delivered? Please email us hello(at)thequickbrownfox(dot)co(dot)uk for a no obligations chat and estimate.